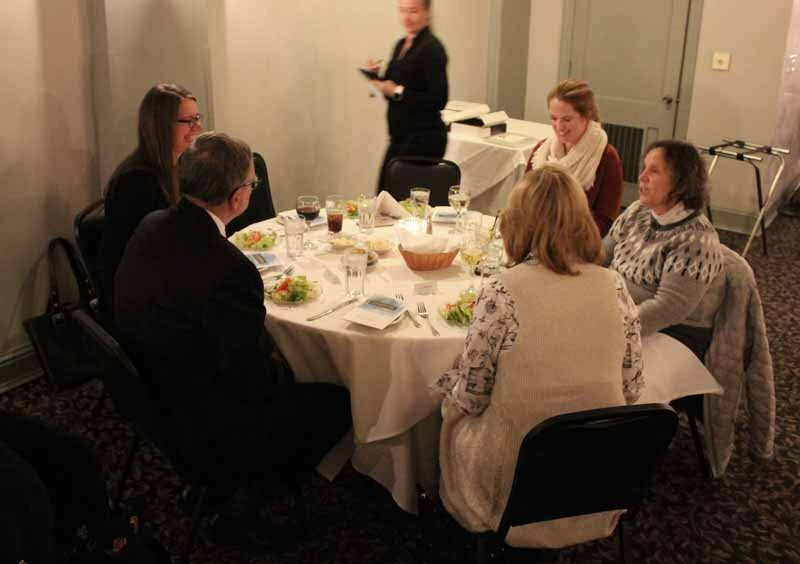 100 percent participation in the Lycoming County Pro Bono Referral Program. 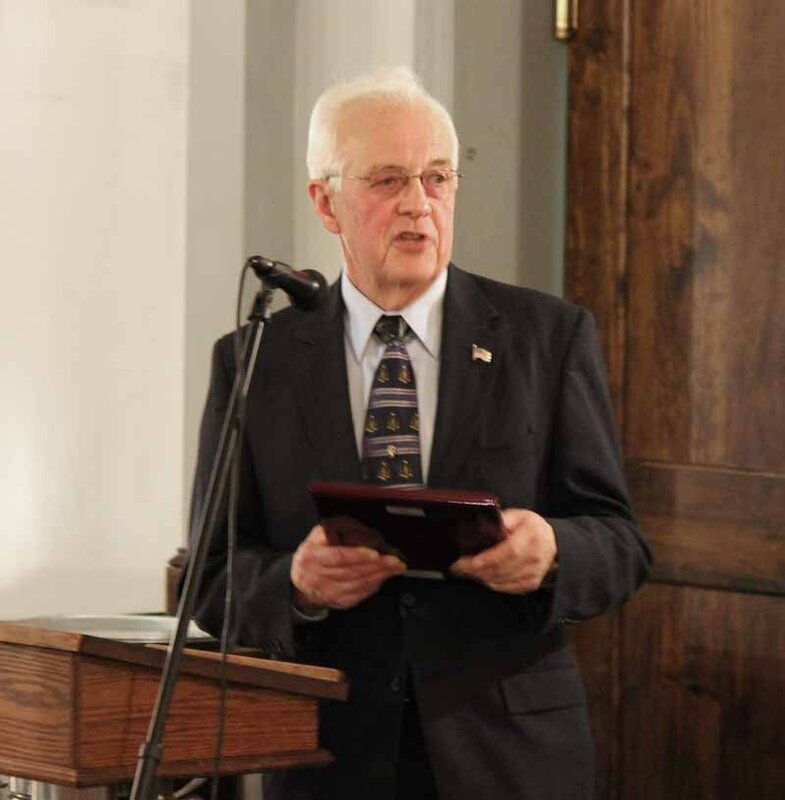 The Lycoming Law Association’s Honorable Thomas Wood Jr. 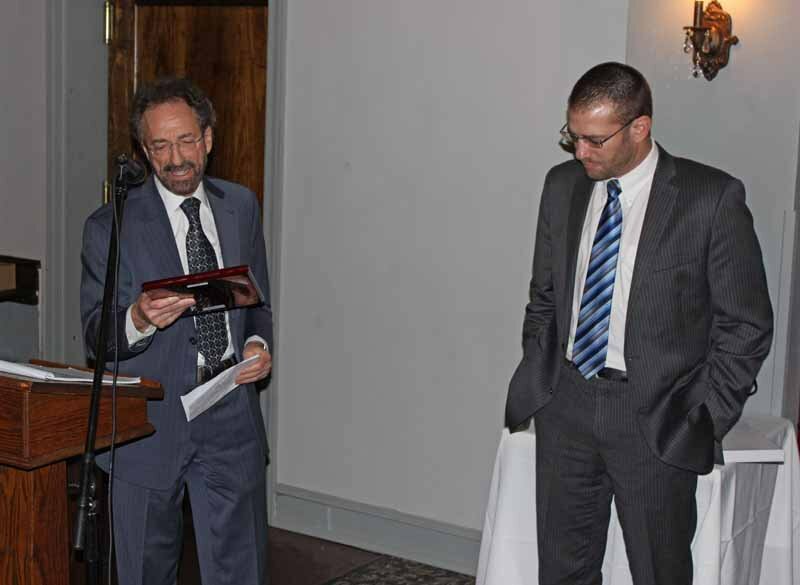 Equal Access to Justice Award was awarded to Bradley Hillman. 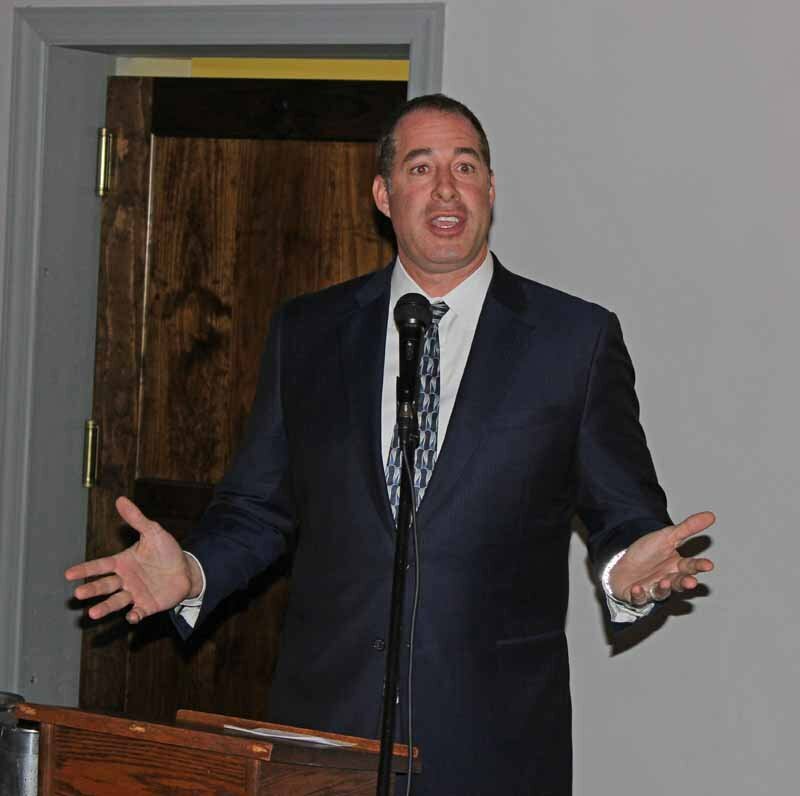 Brad was also awarded a PBA Pro Bono award by PBA President Charles Eppolito III. 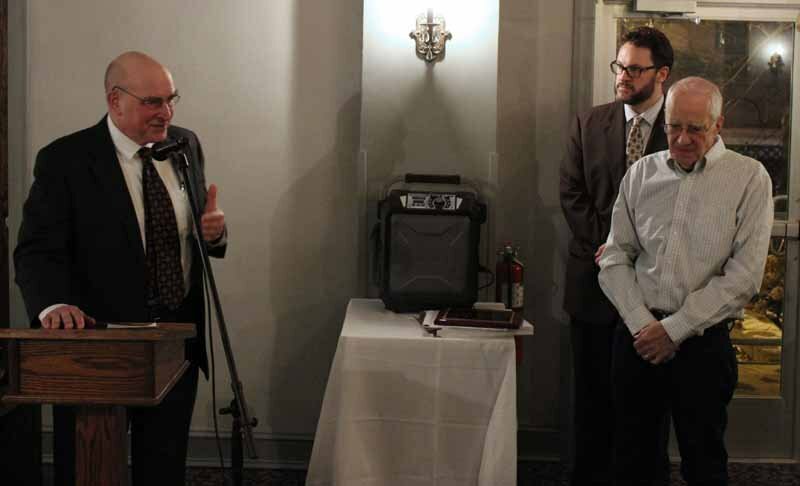 Occasionally the LLA recognizes a non-member for community service that impacts the legal profession. 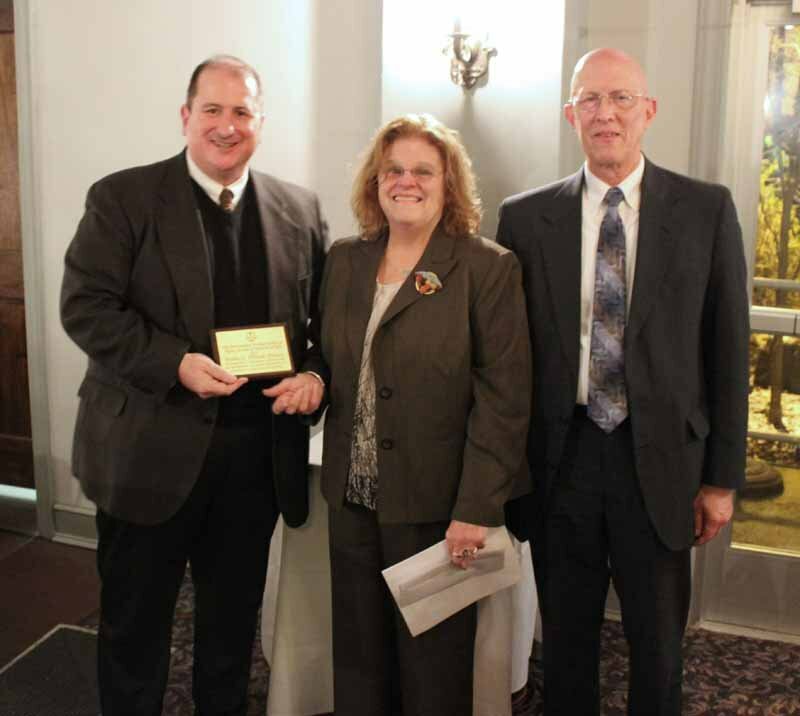 A Public Service award was presented this year to Susan Earl for her work with the Montoursville High School Mock Trial team. 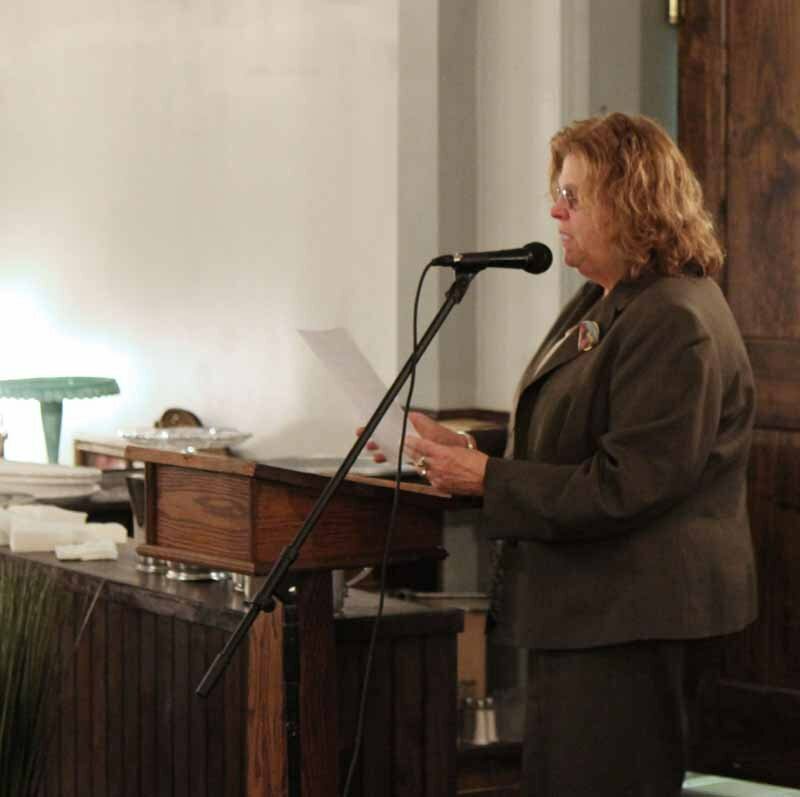 She has served as teacher coach of the team, which has competed regularly in the local competition and also in state and national competitions. 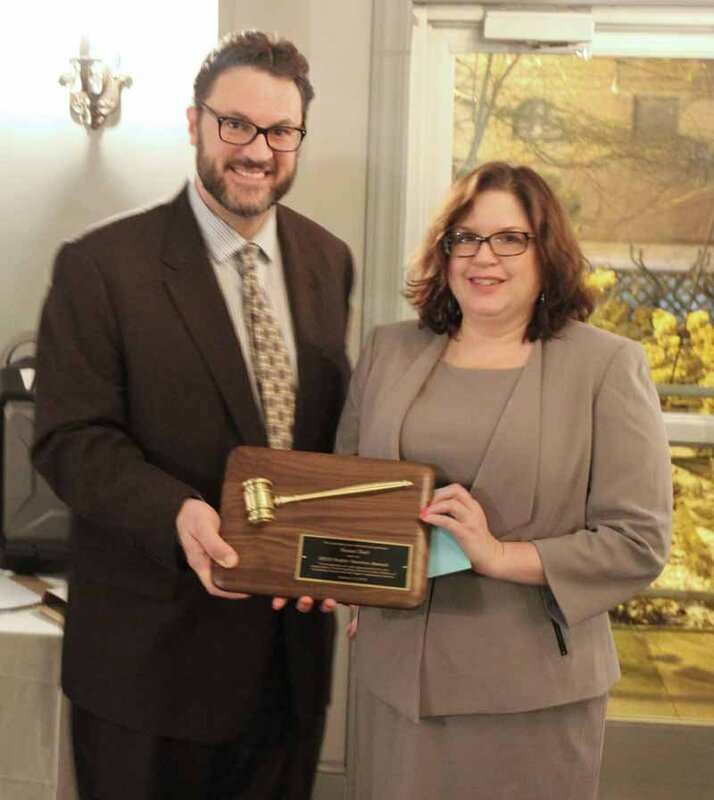 She was honored for her commitment to her students, and for introducing the law to others in a positive way. 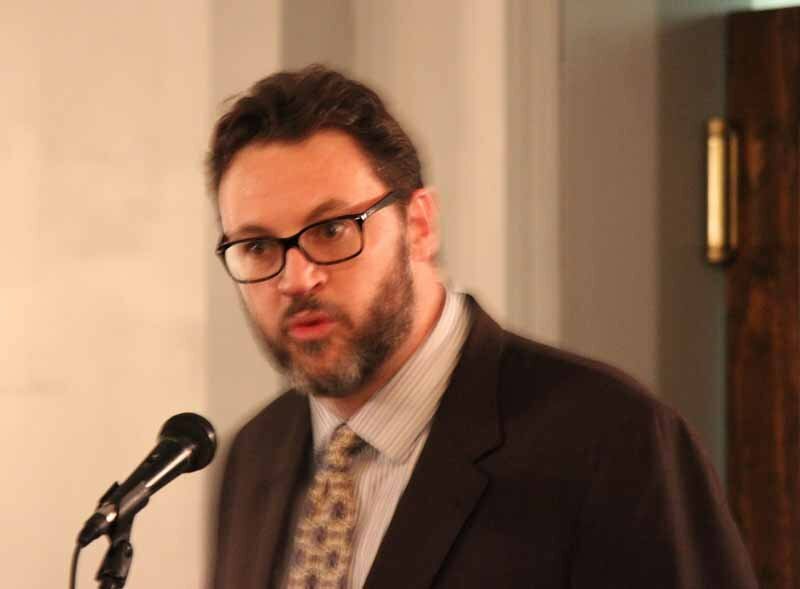 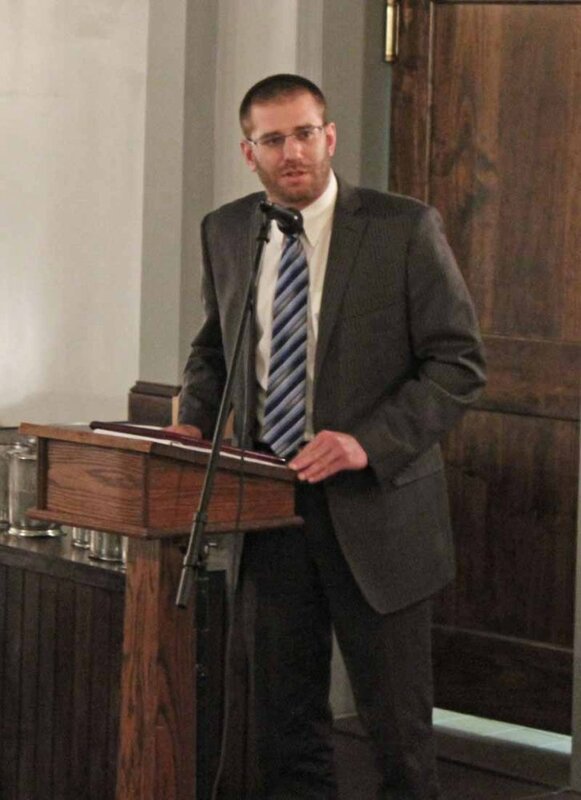 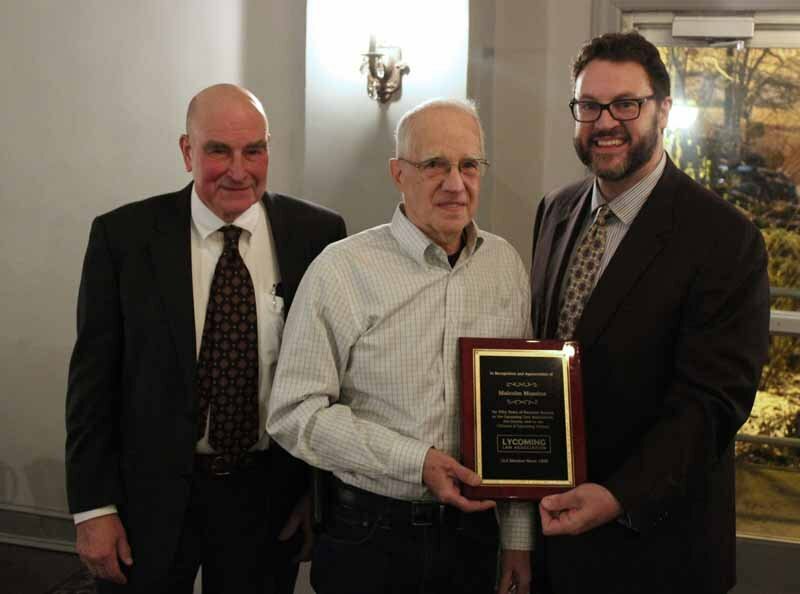 The William E. Nichols Community Service Award was awarded to Corey Mowrey to recognize his outstanding community service and for exemplifying the positive role that attorneys play in our community beyond the practice of law. 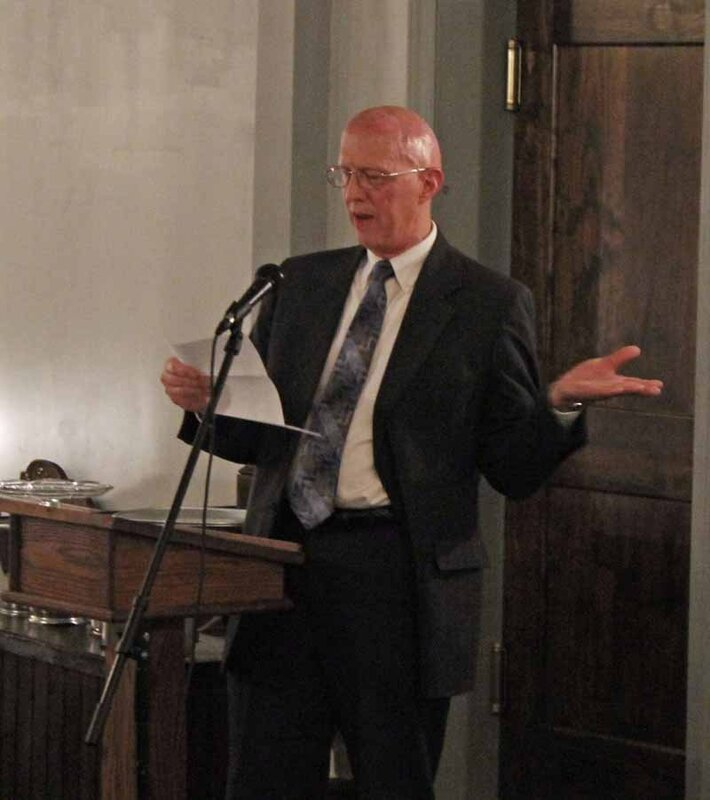 Cliff Rieders made the presentation. 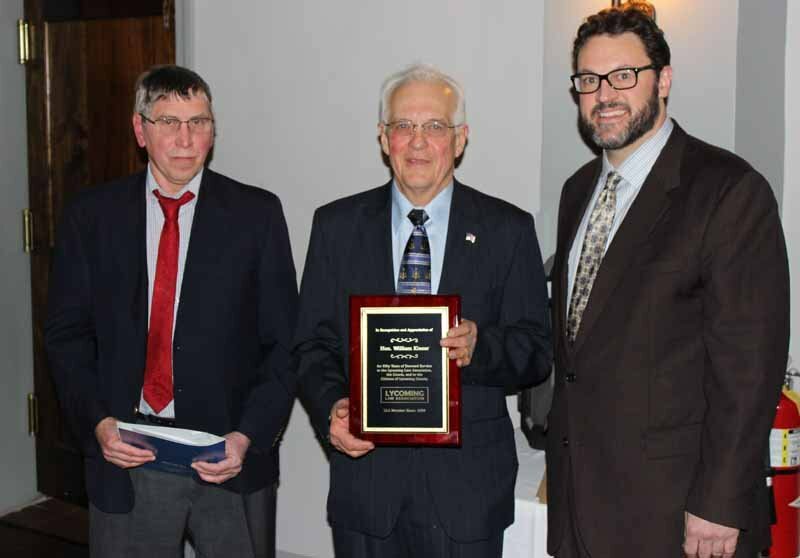 Two attorneys were recognized for fifty years of membership in the Association. 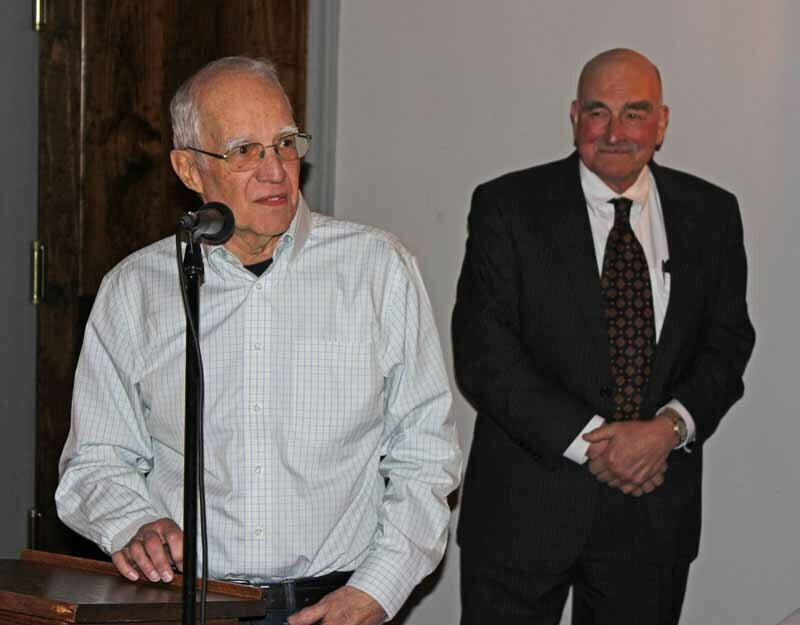 Judge Kenneth Brown highlighted retired Judge William Kieser's career over fifty years of membership. 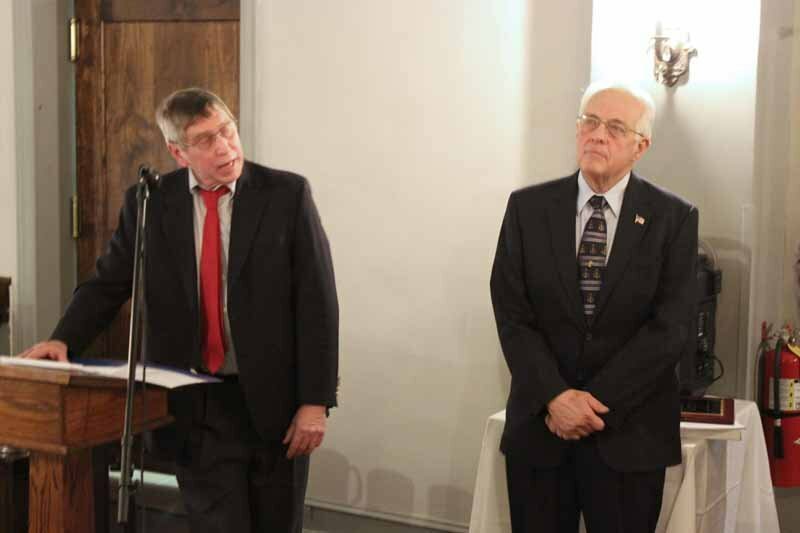 Likewise, Ed Mitchell feted Malcolm Mussina, recognizing his long career. 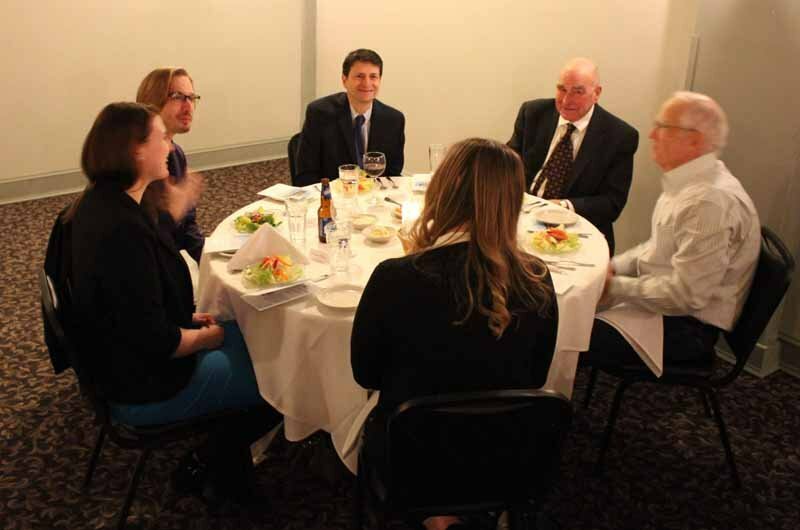 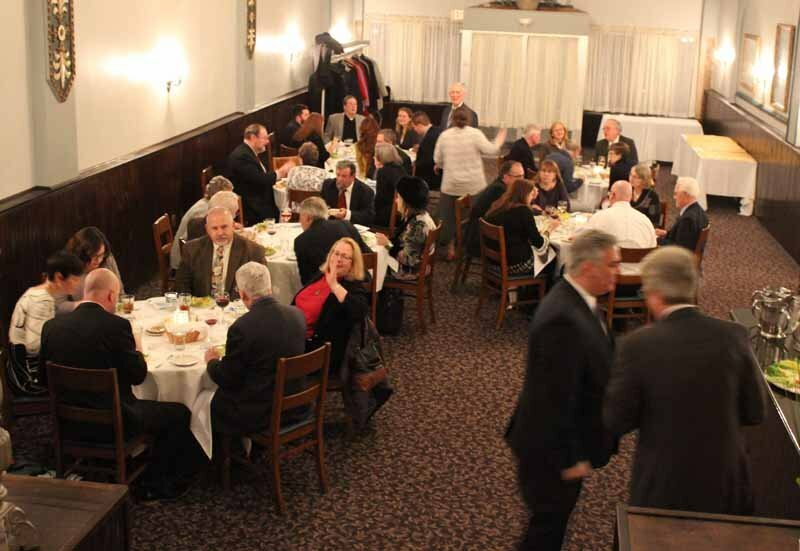 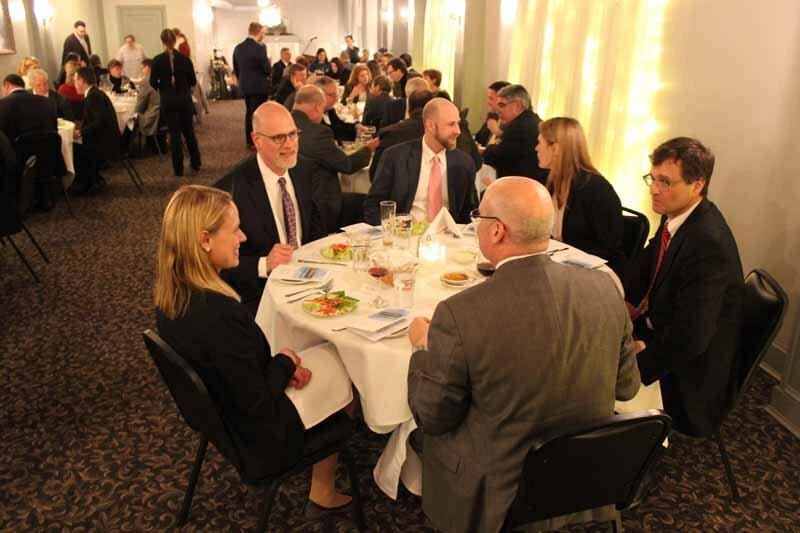 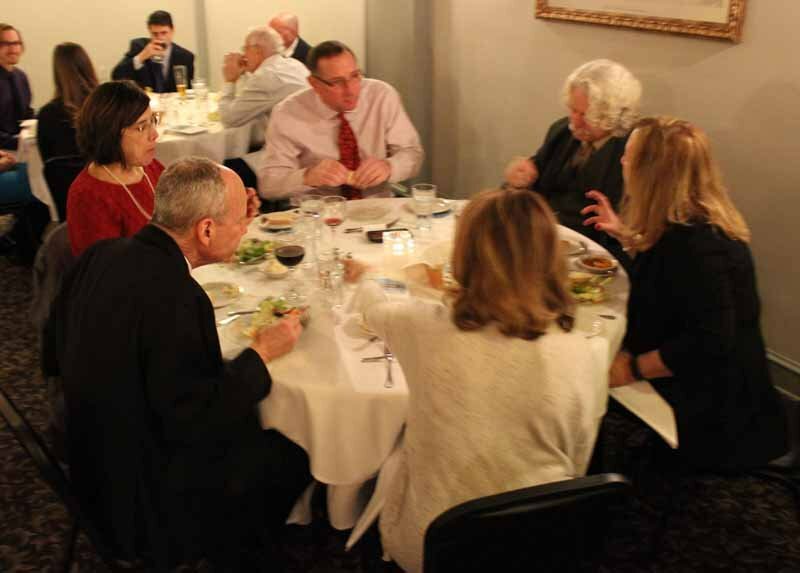 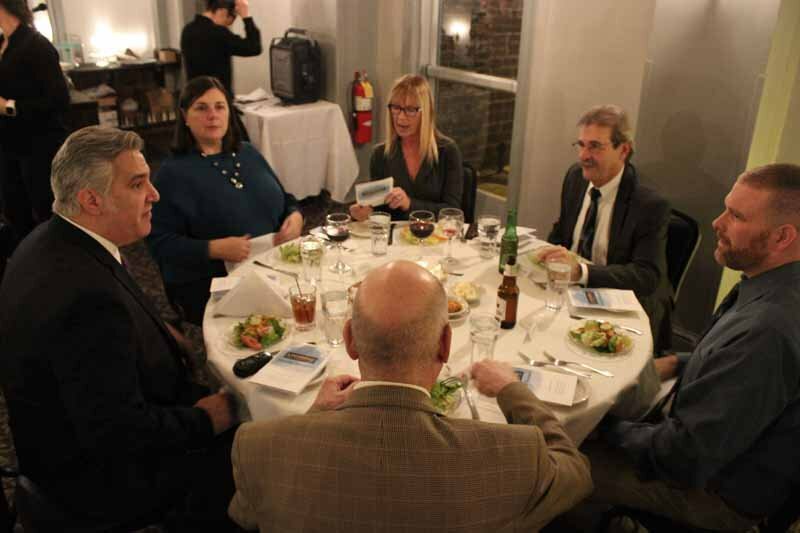 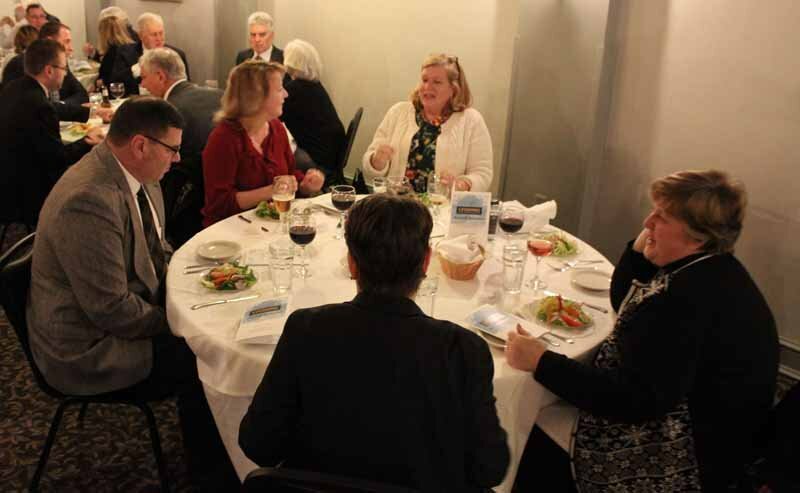 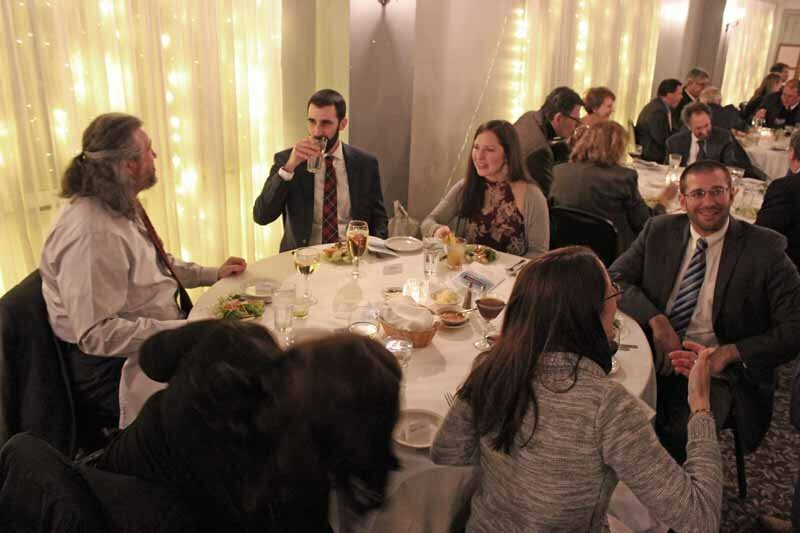 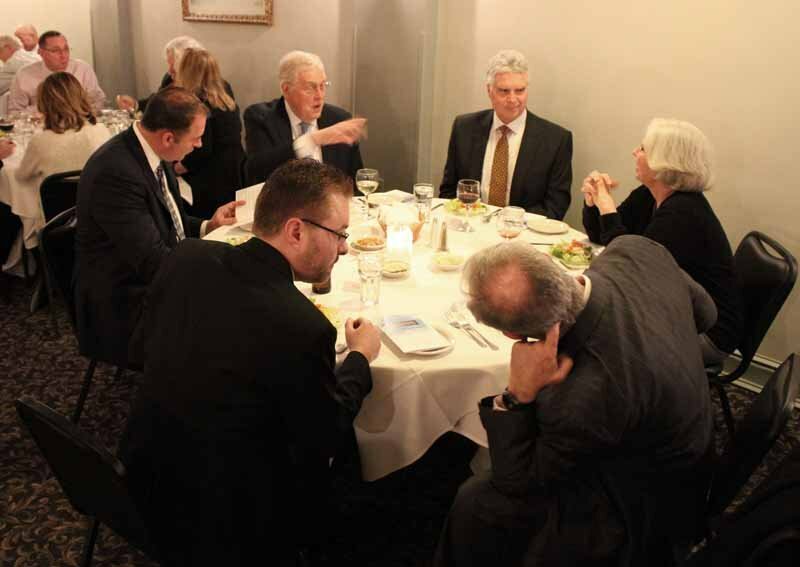 Over 100 members and guests of the Lycoming Law Association gathered at Morrones for the 2019 Annual Banquet. 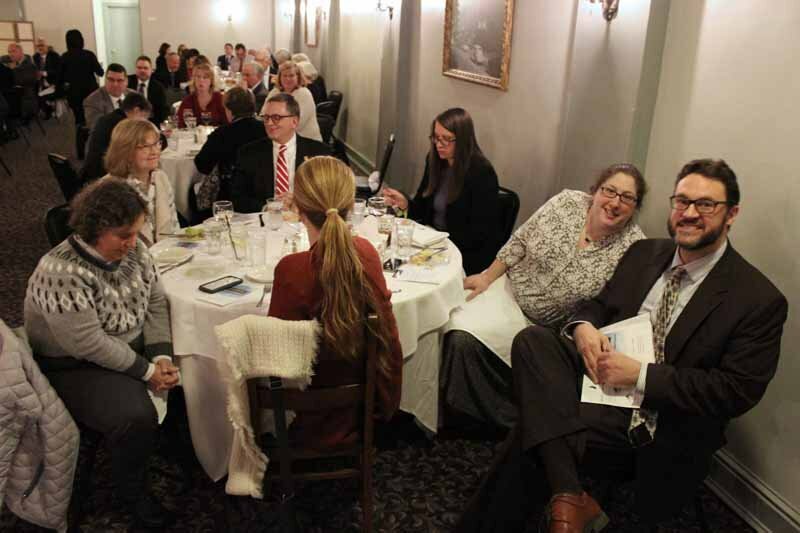 The evening featured the customary pro bono awards, as well as some special awards to our members and a non-member, for community service. 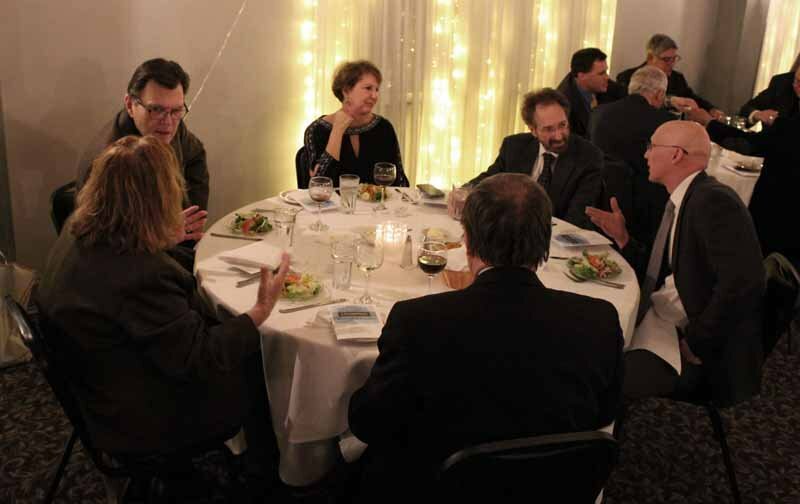 After cocktails and appetizers, the guests gathered in the banquet hall for dinner and the presentations. 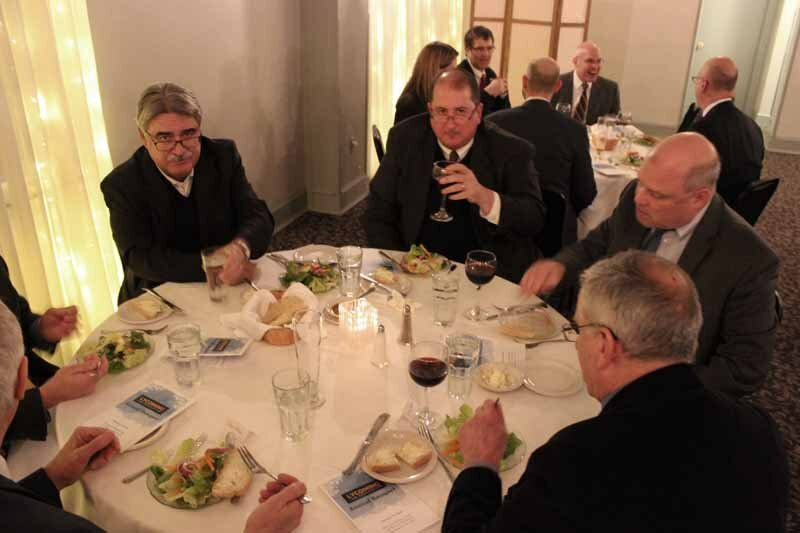 Steak and chicken mixed well with the high praise offered to those honored during the evening. 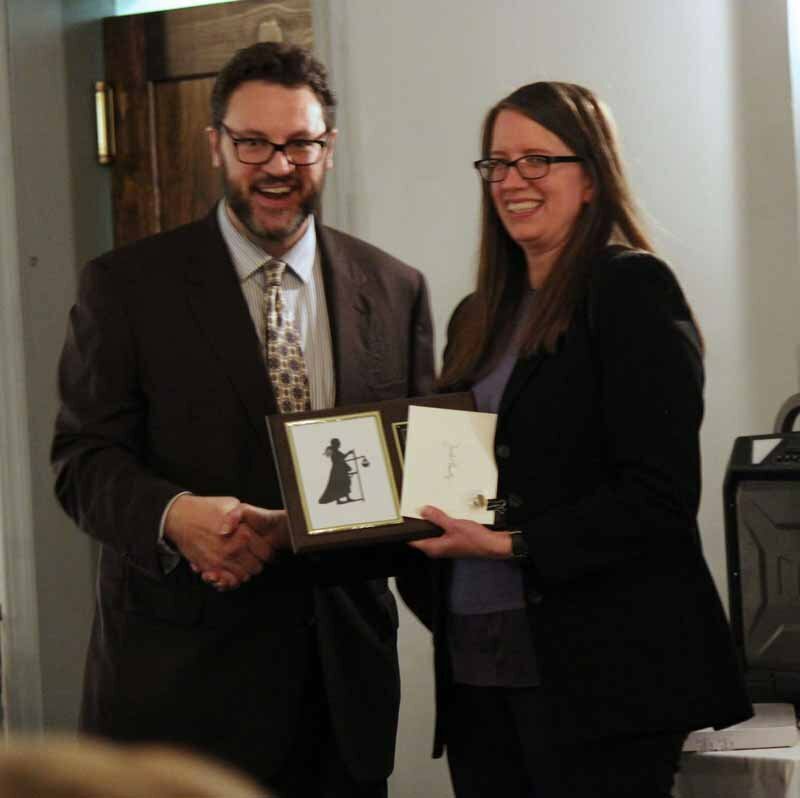 Newly elected LLA President Christian Frey opened the program by recognizing his predecessor, Jennifer Heverly. 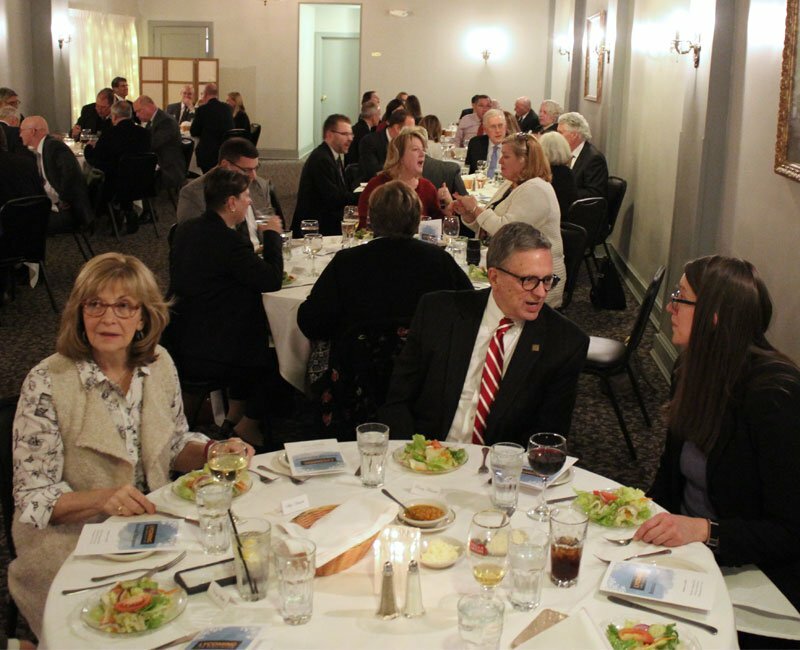 The Association gave her a gift to honor her service for the past year. 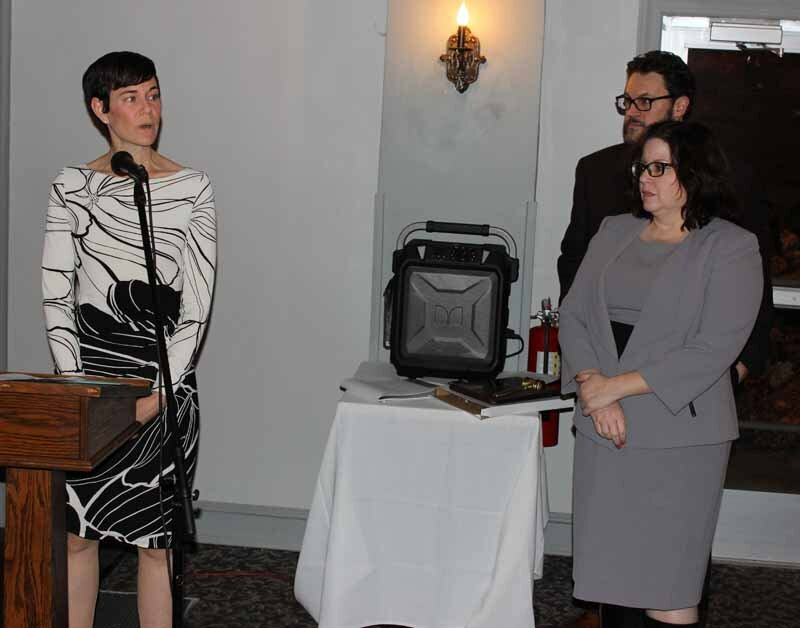 John Pietrovito and Danna Rich-Collins announced the pro bono awards. 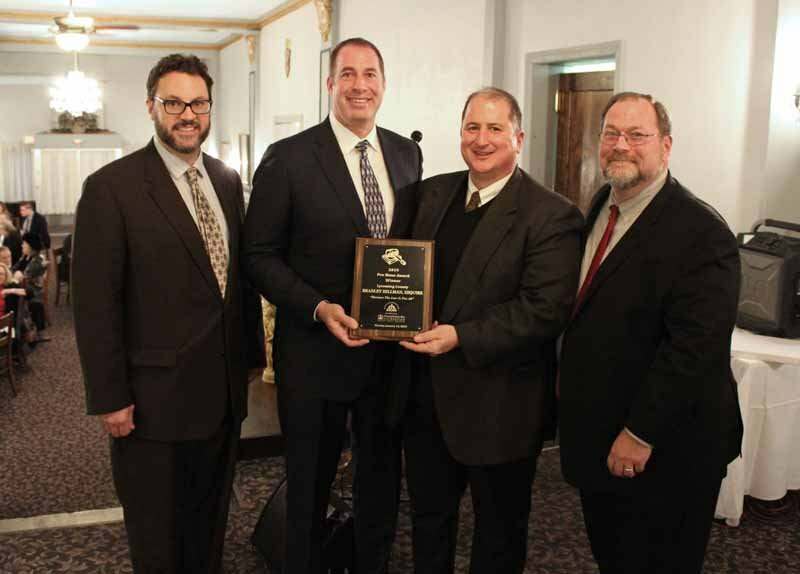 Eighty-three attorneys received Fair Share Awards and nine law firms were recognized for 100 percent participation in the Lycoming County Pro Bono Referral Program. The Lycoming Law Association’s Honorable Thomas Wood Jr. 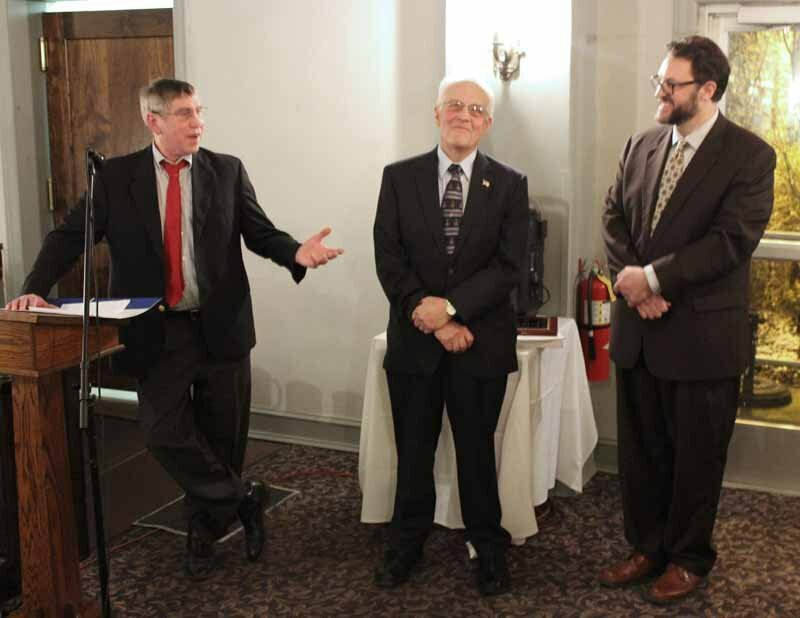 Equal Access to Justice Award was awarded to Bradley Hillman. 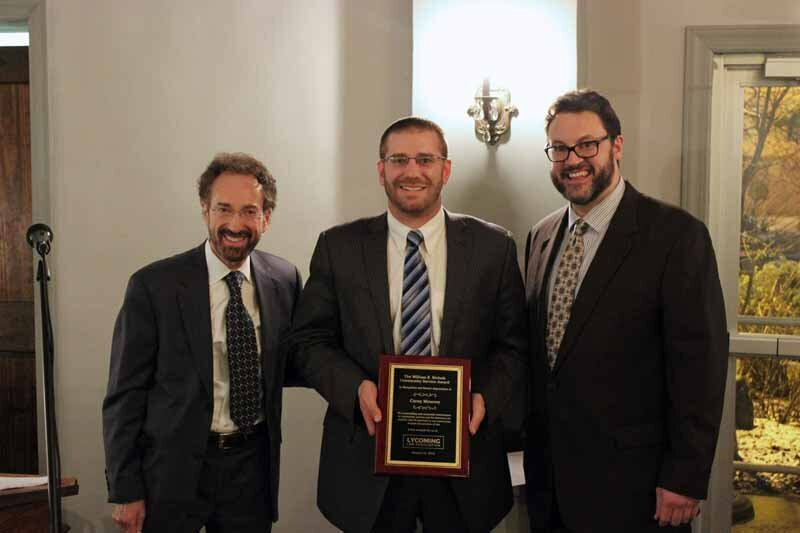 Brad was also awarded a PBA Pro Bono award by PBA President Charles Eppolito III.